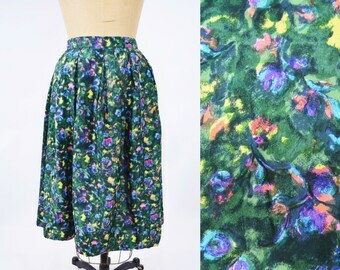 1970s wool skirt | teal green high waist a line vintage skirt | W 25"
Take the meeting by storm in this 1970s skirt! 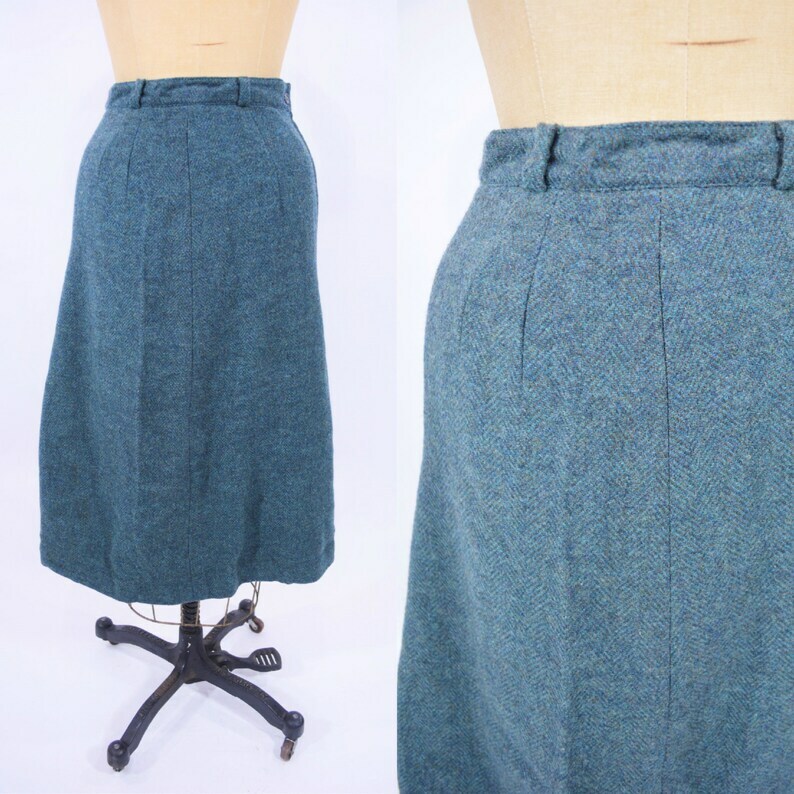 This teal green, wool, vintage skirt has belt loops on the high waistband and a darling open pleat in the front. 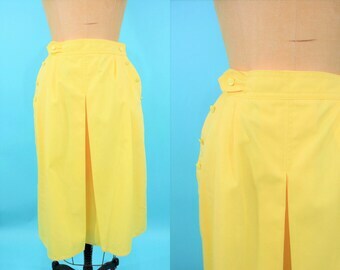 Vintage skirt zips up the side with a metal zipper and has a button at the waistband. 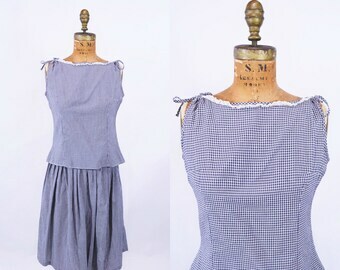 Let's keep in touch, doll! 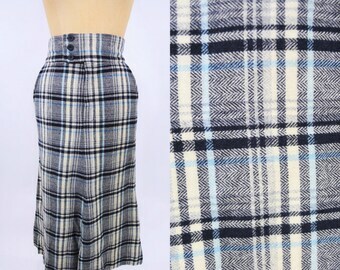 1970s wool skirt | button side gray vintage high waist skirt | W 23"
1970s plaid skirt | blue classic wool high waisted vintage skirt | W 26"
1980s colorful skirt | multicolor wool square a line vintage skirt | W 25"
1950s checkered set | black white vintage top full skirt | W 25"
1970s plaid skirt | bright high waist boho vintage maxi | W 28"
1960s plaid skirt | classic red navy plaid high waist vintage skirt | W 24"
1980s lace skirt | cream high waist DEADSTOCK vintage skirt | W 25.5"
Well made. Thx for the quick ship! 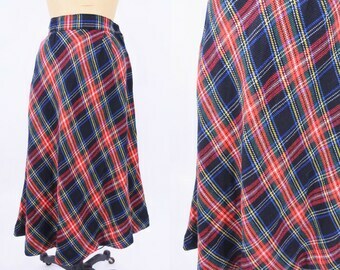 1950s black capris | black high waisted DEADSTOCK cotton pinup pedal pushers | vintage 50s capris | W 24"
1940s black skirt | vintage high waist heart button gab skirt | W 24"
1950s party skirt | white vintage pleated high waist full skirt | W 24"
1960s cowgirl skirt | brown faux leather fringe pinup vintage skirt | W 28"
1950s circle skirt | gray red high waist vintage pattern skirt | W 25"
1970s yellow skirt | solid pleat front vintage skirt | W 26"
1950s satin skirt | green watercolor floral vintage skirt | W 24"